The head was returned from Radtec on Thursday afternoon. The head fillet plate will have to be set and then milled to create the flat face for the head closing plate to fit and seal against. 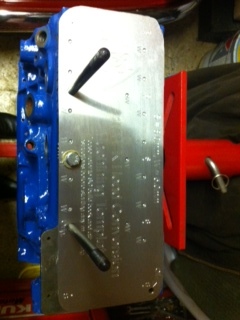 The cam oil feel drilling has been welded up and will now require re-drilling on an angle to match the block. The oil return to sump galleries have also been filled. The head will now go to the machine shop to be skimmed and milled and then its final modifications will take place prior to rebuilding. While the head is away again for final machining, I have ordered new valve stem seals and these can then be fitted when its returned and completely cleaned again. 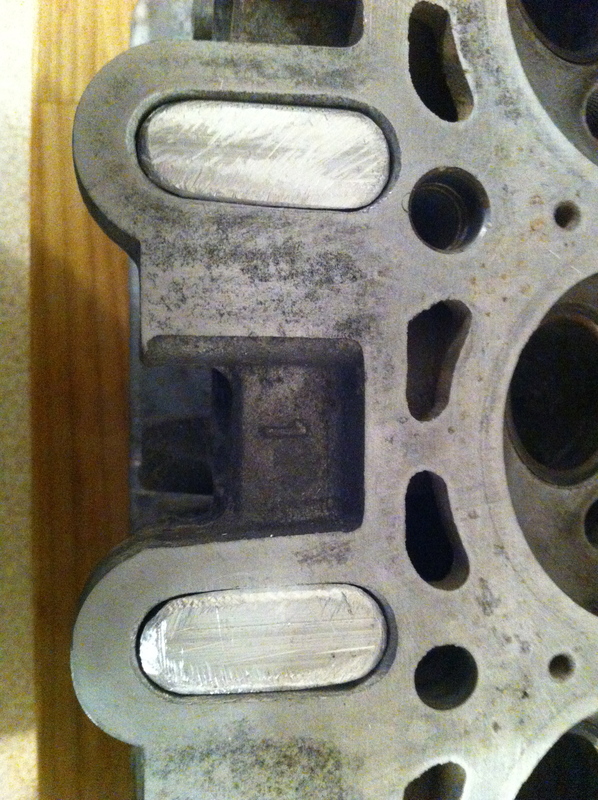 The block is still at the machine shop – hopefully it will be returned next week and the bottom end build can start! Parts loaded – Machining this week. The block , crank and head have been loaded up to go for machining this week. 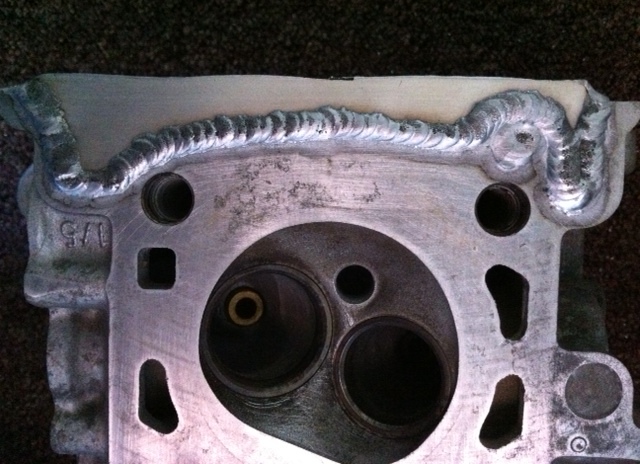 The block will go to the machine shop we use at work. The head will go to Radtec for welding and then up to the machine shop to be milled and the head face skimmed to ensure flatness when mating to the block face. A few bits arrived today. 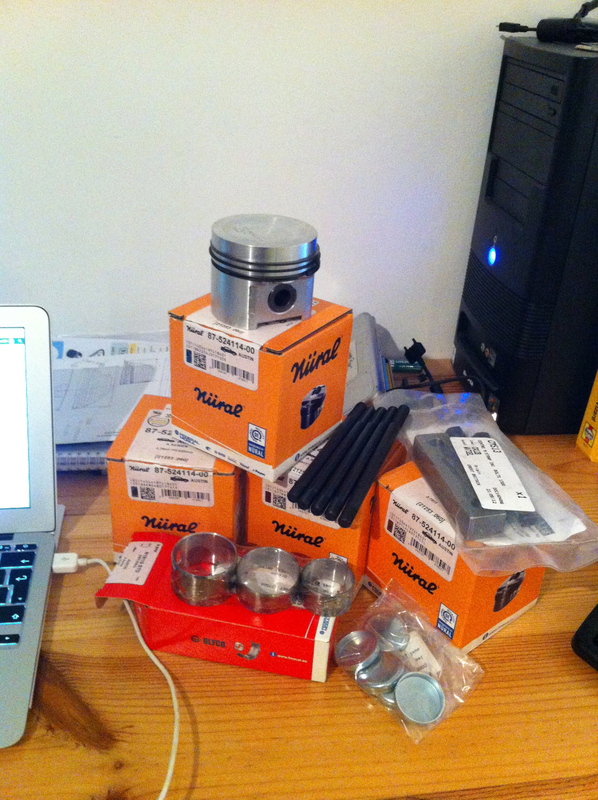 4 x AE 21253 +060″ Slipper type pistons. 5 x Long head studs. Mini Spares centre main strap kit. The pistons will have to go away to SC to be machines for valve pockets this should be done in a couple of weeks. The centre main journal cap will also be machined by the engineering company to alloy the fitment of the steel strap. It is fitted to improve the strength of the centre cap as cranks have been known to flex slightly at higher RPM’s. 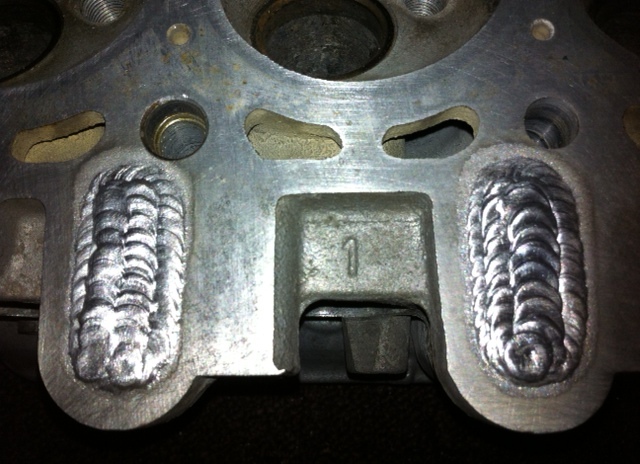 The 2 remaining cylinder head plugs have been made in the evenings this week. These are used to blank the original BMW head oil return to sump galleries. Next week the head will go off to Radtec to be have these inserts welded in and the timing chain area at the one side of the head blanked off allowing the SC conversion to run a dry belt setup. 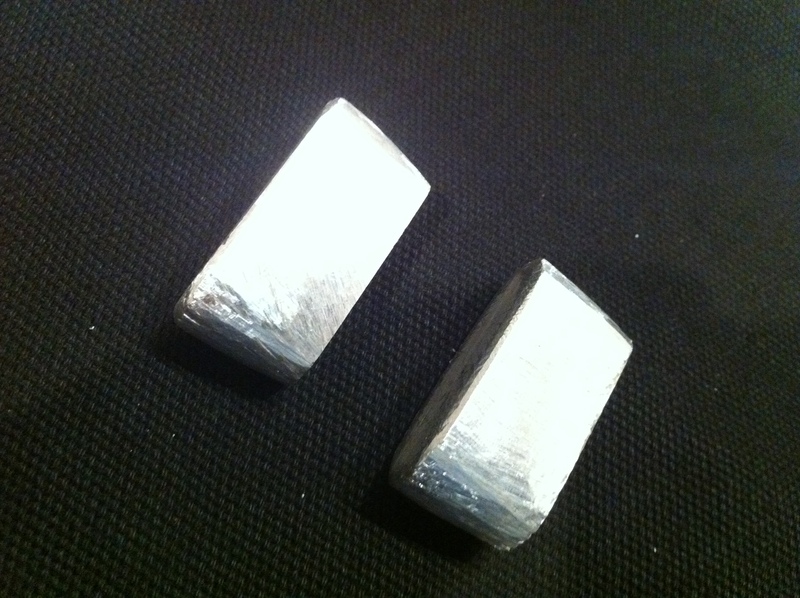 Below are the plugs manufactured from 19mm alloy bar. 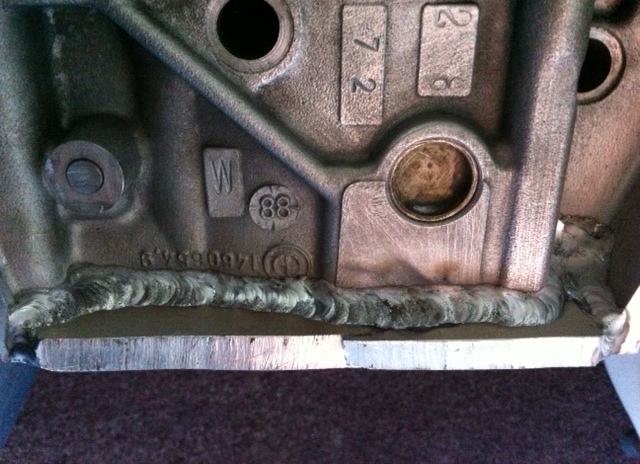 After welding the head will be skimmed flat to confirm a good seal on the A series block face. These inserts will then be drilled and tapped to 3/8BSP and angled unions fitted to allow the use of remote oil drain lines back to the the mini block via the now redundant mechanical fuel pump location. Making bath tub shaped inserts by hand is not really the nicest of jobs around. Around 2 hours of test fitting, removing the plug then taking a little material at a time off until an acceptable fit was achieved.